One Mind Initiative at Work has released an analysis and recommendations for business leaders on prioritizing cognitive diversity in the workplace. The report includes a summary and guide to help employers foster a more comprehensive understanding and approach, as well as best practices, in dealing specifically with so-called “invisible diversity.” The report highlights an emerging idea that identifies cognitively diverse individuals—including people with autism, dyslexia and other conditions, and people with mental health conditions—as an untapped wealth of talent, capabilities, and perspectives. A new concept has emerged within the workplace in response to the growing recognition of unique talents and abilities of cognitively diverse individuals. This new approach looks beyond traditional demographic diversity to include neurodevelopmental conditions including autism spectrum disorder, dyslexia, ADHD and other neurological variances that affect a significant share of the population, as well as other issues of brain health like mental health conditions. Often, these individuals are unemployed or underemployed, despite retaining the skills and often above-average capabilities in a variety of areas. For example, only 16% of individuals with autism have full-time, paid employment while 51% of this subgroup report a broader range of skills and capabilities than those they employ at their place of work. While many brain health conditions are commonly linked to negative impacts and associations, cognitively diverse individuals possess unique skills and traits that can fill skills gaps, drive innovation and help optimize operations, and identify opportunities often overlooked by their peers. For example, autistic individuals and those with language-based learning disabilities have been shown to have a propensity for skills in mathematics, pattern recognition, and other areas. Other conditions such as ADHD and mood disorders like bipolar disorder and major depression have a strong correlation to creativity, with individuals displaying greater creativity and problem-solving abilities. Now, employers are recognizing ways in which they can support these individuals and address the challenges their conditions pose while fostering their individual strengths and abilities in the workplace. Major employers are already reaping the benefits invisible diversity provides within the workplace. A team organized around cognitive diversity at SAP developed a technical fix that helped the company retain $40 million in savings. In a new approach to inclusion, Ernst & Young offers a robust offering of programs aimed at workplace mental health and comprehensive hiring and training specific to cognitive diversity. Through this programming, the company found they were able to improve the performance of the workforce broadly. Through these programs, companies have learned to better understand the individual needs and strengths of their employees and demonstrated how enabling structured support systems for cognitively diverse individuals can yield positive business outcomes. · Partner with expert organizations. Collaborations with non-profit, government, and community organizations can provide the expertise needed to understand approaches in practice. Companies may also consider sharing knowledge and best practices with each other or through business groups. · Start small. Pilot programs can provide the learnings that are essential for building a company-wide effort. By starting in a single office, function or workforce segment, companies can gradually build to larger initiatives. This helps to develop scalable models and approaches that fit within the organizational culture. · Implement non-traditional hiring practices. By implementing alternative hiring practices, companies can identify, attract, and place candidates in roles that will support their success. Traditional hiring practices can be a barrier for cognitively diverse individuals, who may struggle with social interactions or written tests. Therefore, hiring strategies that target and accommodate individuals provide a more effective assessment of these individuals’ unique skills. · Enable understanding and awareness. The support of managers and co-workers can be a decisive factor in employees’ performance and retention. Companies should strive to enable productive, positive understanding and awareness of cognitive diversity. If employees understand individual differences in information processing, problem-solving, and skills as strengths and advantages, they will be more likely to embrace all employees as valuable team members. · Create a supportive workplace. 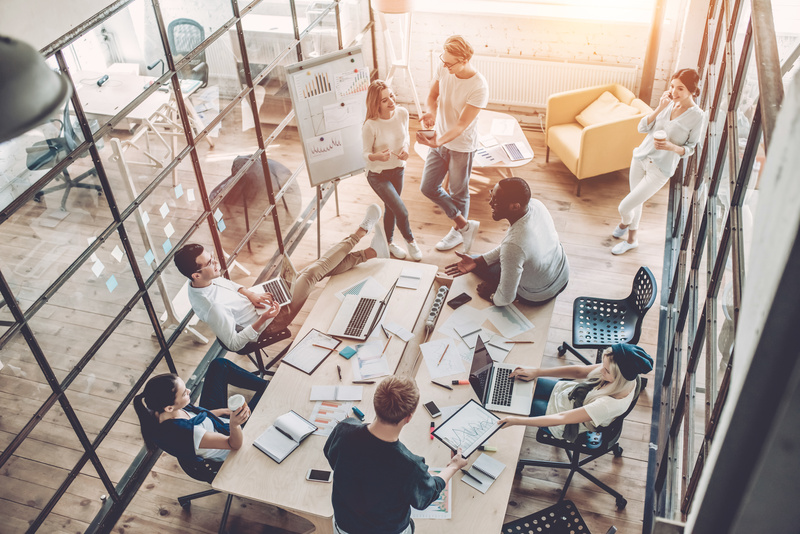 Many cognitively diverse employees, including people with mental health conditions, may benefit from low- or no-cost workplace adjustments that support their work style and needs. Such changes include limiting sources of sensory stimulation, flexible hours or working locations, offering training on soft skills, and providing clear instructions through a variety of channels. An established support network or mentoring system can also help enable productivity and performance. · Emphasize flexibility and customization. Employee support should be flexible and allow for customized accommodation that is widely available, not just to those who chose to disclose a condition. Ultimately, the most effective solutions will be that developed on-the-ground by managers, co-workers, and employees for their specific situations. One Mind Initiative focuses on the development and implementation of a gold standard for mental health and well-being. We believe that a group of committed CEOs can transform the way we view and approach mental health, brain fitness and well-being, how healthcare is purchased and provided under the new paradigm, and how we can gain equity, collaboration and parity between physical and mental health.